For complete independence and a little more luxury, a hotel stay is possible. This accommodation features a room with a private bath, daily breakfast, and a cleaning service that will also change linens regularly. Some hotels have private gardens and/or pools. B&Bs in Siena are often quite elegant and similar to hotels in terms of services, but are smaller overall, with fewer rooms. Some are equipped with kitchen corners for limited food preparation. If you are interested in a hotel or B&B please contact us with your requirements and budget and we will be happy to quote prices. Please note: Hotels can be difficult to book shortly before the weeks ending in July 2 and August 16, when both Palios are held in Siena and the city is full of tourists. 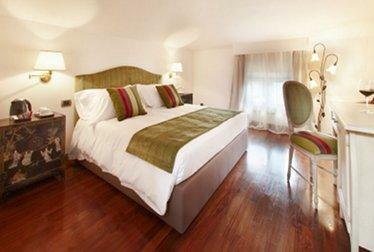 If planning a hotel stay around the week of the Palio, make sure to reserve well in advance.